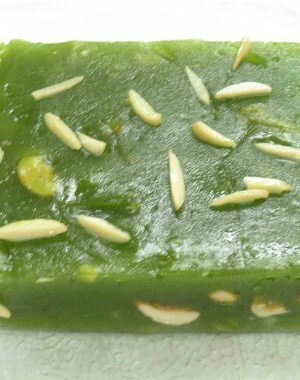 Ice halwa, also known as mahim halwa or paper halwa. It is prepared from soaked sago or sabudaana, sugar and maida and cardamom powder. 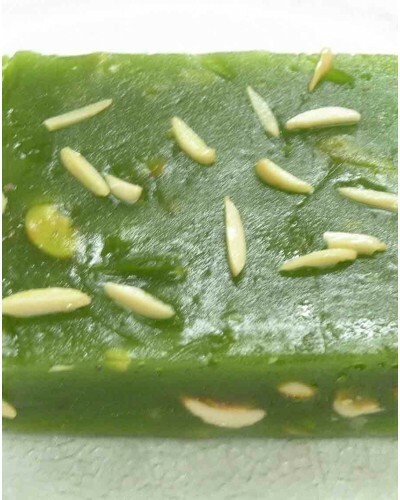 It is a delicious thin slab of sweet made from pure ghee flavoured with kesar essence.